Dr.Pulley sliding rolls in the 16x13mm format, weight 11 grams, 6 pieces / package. 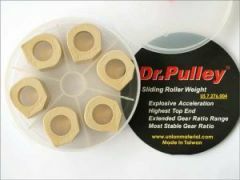 Dr.Pulley sliding role in the 16x13mm format, weight 12 grams 6 pieces / package. Unbeleavable better acceleration, more power at the back tyre! 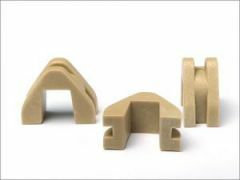 Dr.Pulley sliding role in the 16x13mm format, weight 10 grams 6 pieces / package.